The artistic hub of Hornsby Shire, home to a constant stream of exhibitions and classes. 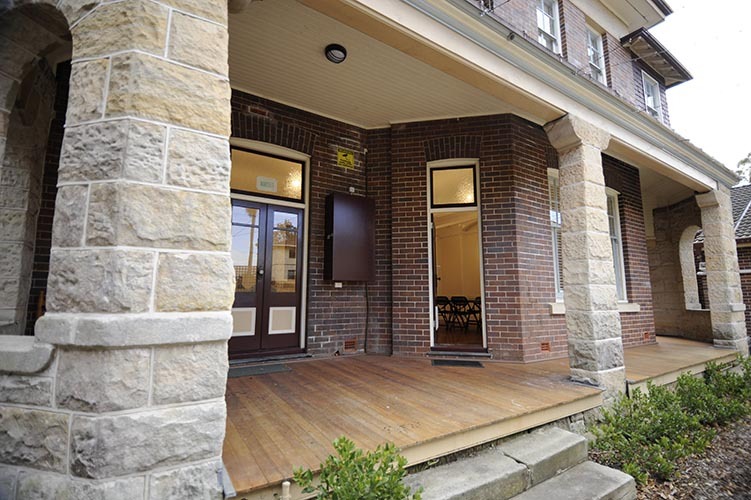 Located in central Hornsby behind Willow Park, the Wallarobba Homestead was built in 1903 and has been transformed by Council into the Shire's premier art and cultural centre. Its redevelopment was recognised in 2012 with the Local Government and Shires Association Places for Arts and Culture: Improved Cultural Facility Award. 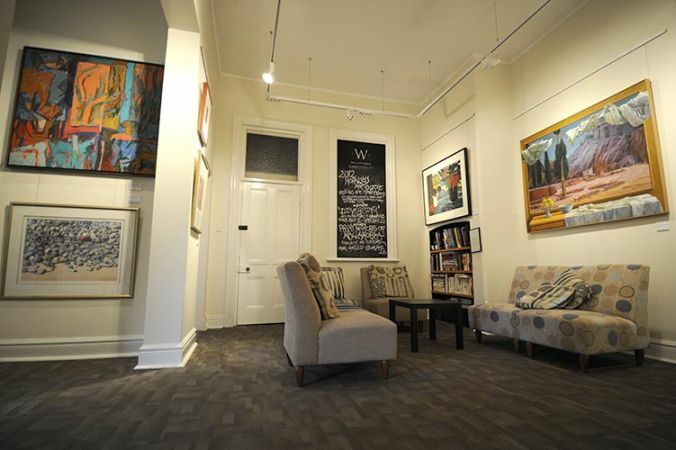 Features include a community art studio, a purpose-built printmaking room, art classes, an artists’ lounge and a gallery space. The Hornsby Art Society also has an office in the centre. Are you an artist, artisan or craftsperson keen to share your creative works with the public for display and/or sale? 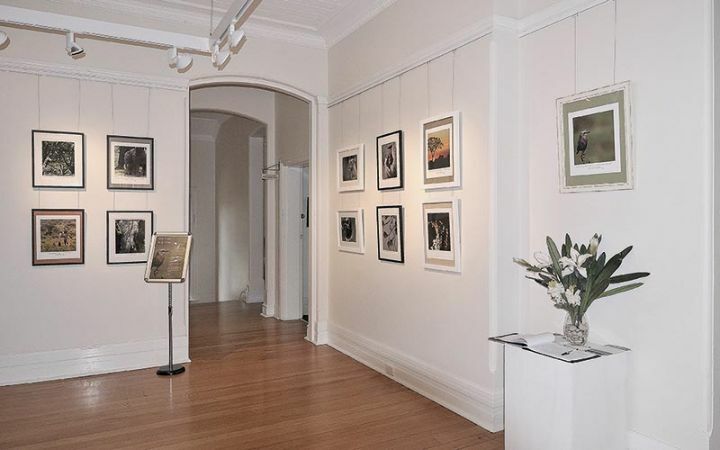 Then consider holding a solo or group exhibition at Wallarobba Arts and Cultural Centre. Bookings are limited, so get in quick. A new way of displaying works has recently been added - a lockable glass display cabinet in the Artists’ Lounge. This is available for monthly exhibitions of small and/or fragile works including textiles, fibres, ceramics, glassware and sculpture. To make a booking please phone 9847 6050. Wallarobba also functions as a community centre that can be hired for events, functions and regular activities. Find out more about hiring a room at Wallarobba. Hornsby Art Society Demonstration ProgramHornsby Art Society (HAS) demonstration nights are held in the Beatrice Taylor Hall (located behind the Wallarobba homestead). The nights start at 7pm with artist networking, trading tables and refreshments, then a HAS activity update from 7:45pm, followed by the demonstration starting at 8pm, for 60-90mins. Cost: HAS members $3 / visitors $5. Email programs@hornsbyartsociety.com.au for more details. 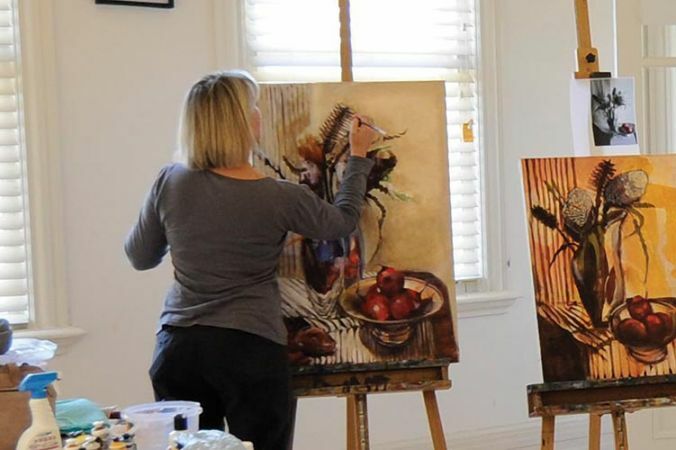 Wallarobba Arts and Cultural Centre is home to several art schools and individual tutors, each offering a variety of art classes. Wallarobba Arts and Cultural Centre has limited parking onsite. It is a seven minute walk from Waitara station or ten minute walk from Hornsby Station. Transdev-Shorelink Buses operate the 594H or 575 services from Hornsby Station, which stop directly outside the Centre – ask for Willow Park or corner of Sherbrook Rd and Edgeworth David Ave.
For more information about Wallarobba Arts and Cultural Centre please contact Council's Arts/Cultural Development Officer on 9847 6572 or email arts@hornsby.nsw.gov.au. Are you currently a practicing artist?